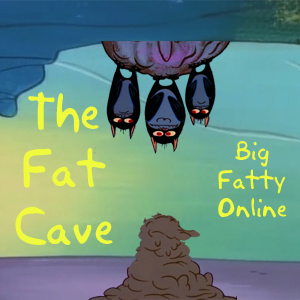 The Fat One is back in the Fat Cave with a complete recap of the visit to Hatlanta plus a dream about The Queen! Happy National Bavarian Cream Pie Day. Posted by Big Fatty in Podcasts on November 27th, 2012 ‌ Both comments and pings are currently closed. By the Queen, you mean Michael from the UK. Why are you surprised they gave the 20% off on the whole meal? You where all senior sitting around the table. Of course the Hatterina is still 18 years old, but that’s the 20% off ladies discout. Am I understanding you go out to have a Thanxgiving meal and do not have a home made meal? That sounds less stress and more variety of foods!